Some shots of manti making today using a recipe I found a short while ago, it was a perfect thing to do on this chilly November day while sipping a homemade pumpkin spice hot cocoa. 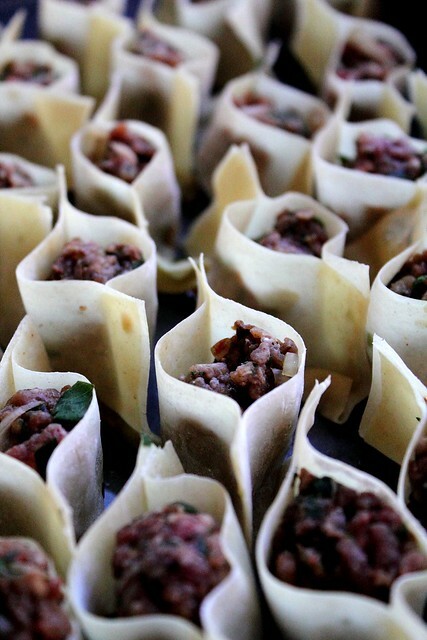 Manti are these turkish (also armenian and variations are made in different regions) dumplings made easy by stuffing a savoury spiced beef (or lamb) mixture into a wonton wrapper and baking until golden then baking one more time with a flavourful broth. The dumplings are tender with golden crispy tips served with yogurt sauce. great job! they look amazing! 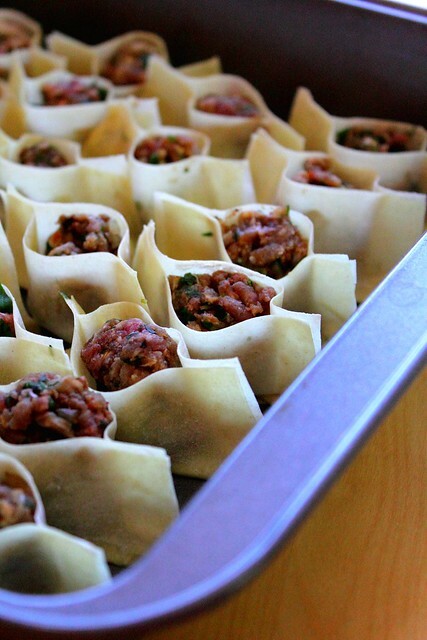 i hope you had fun making and eating the manti! Burada çok meşhur bir yemektir.. 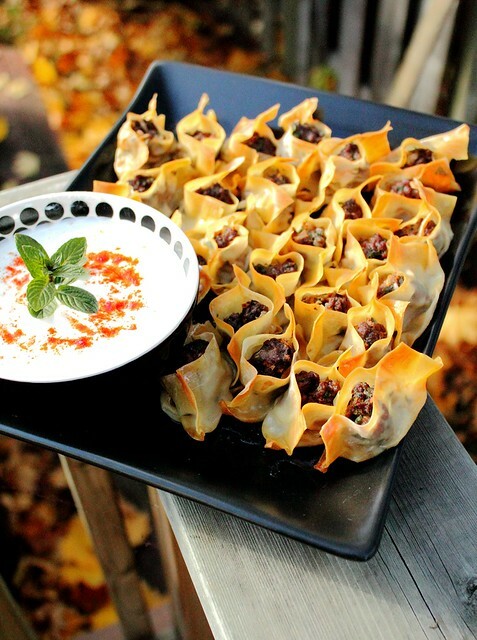 I've never heard of these, but they look so cute, and the recipe sounds really simple and delicious, which means it's going on my to make list for the next party. Also, would you mind coming over and making me that cup of hot cocoa? 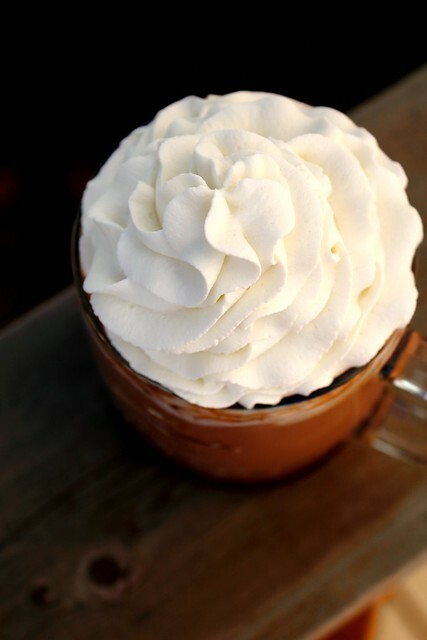 That has to be the most perfect tower of whipped cream ever. It looks like a gardenia. I showed your post to my mom and she was thrilled to see these! I think they would be a hit for a game day type of event.